"It's an industry where often times people get into it through cafe culture, working as a barista or production roasting, kind of that pathway. For us ... we started at origin, learning about the production of coffee. That's where the inspiration came from." - Angela Oehlerking, co-founder of Good Trip Coffee talking about breaking into the coffee industry. Good Trip Coffee Company is technically based in Denver, though its heart is probably in Nicaragua and it’s owners, the husband and wife team of Angela and Andrew Oehlerking, are from the Chicago-metro area. 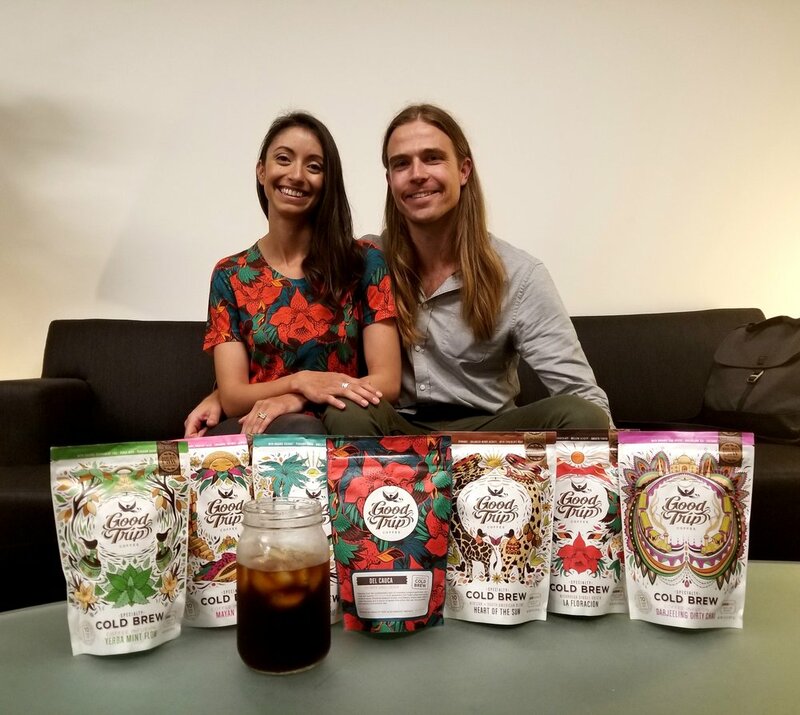 The couple's story of they started their coffee company is pretty remarkable, Andrew and Angela were living in Chicago, when they did what many of us dream of – but never actually go through with - they quit their jobs and traveled. Recent statistics indicate overall coffee consumption in America has slowed, except on the cold brew front. Good Trip Coffee sells products that allow coffee drinkers to easily make cold brew at home. For more information about Good Trip visit the company's website here.